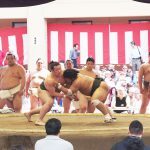 For family who would want to have a sumo tour but is concerning of age restriction?... This is the tour you should participate in. 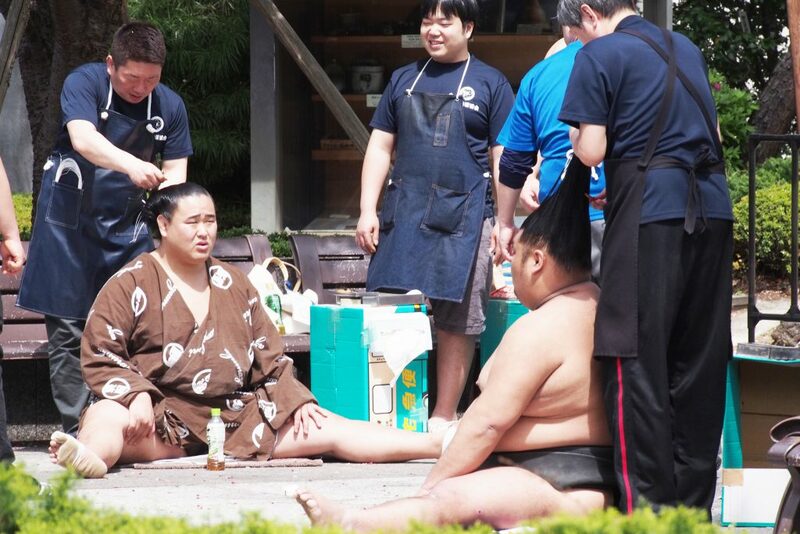 True Japan Tour will offer the Special Sumo Tournament Watch opportunity on 15th April 2019. 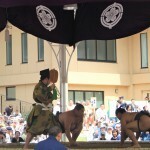 Let's experience the world of Sumo on this special day, at Yasukuni Shrine in Tokyo. 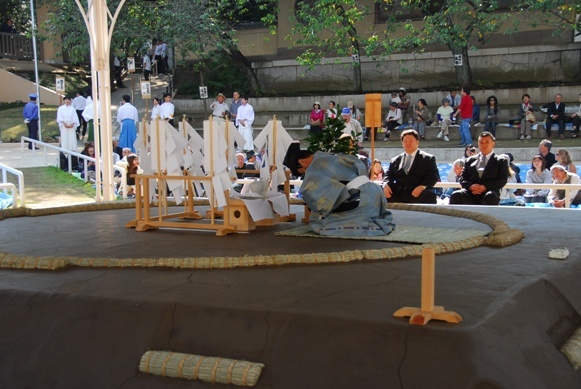 Yasukuni Shrine is known as a Shinto shrine, established for commemorate Japan’s war dead. 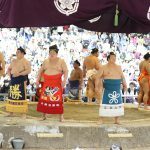 The Dedicatory Sumo Tournament was started in 1869, as to commemorate the people’s soul rest in the shrine, and the tournament is still in practice. 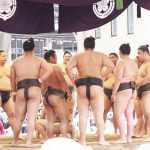 On the day, you will have a chance to see approximately 200 Sumo wrestlers gather there to dedicate Sumo to the shrine, from the lower ranked one to Yokozuna (the top ranked wrestler of the National Sumo Tournament). 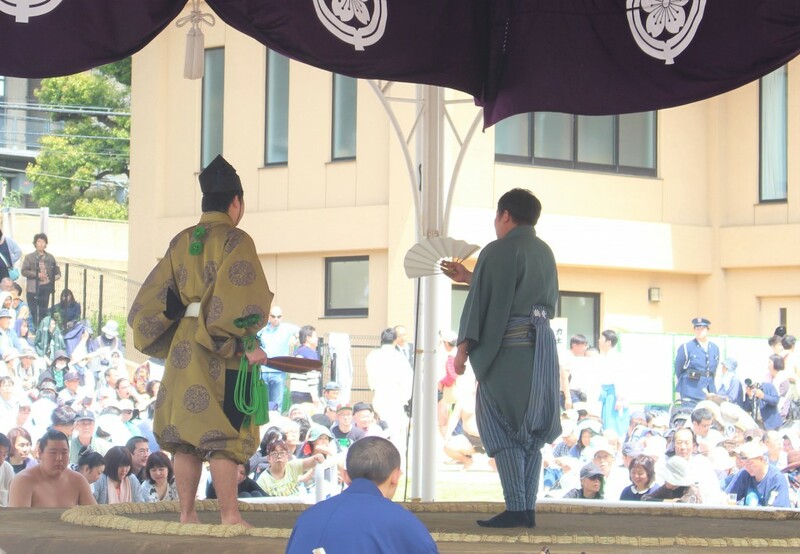 There will be some special traditional ceremony held, which is rare to see. 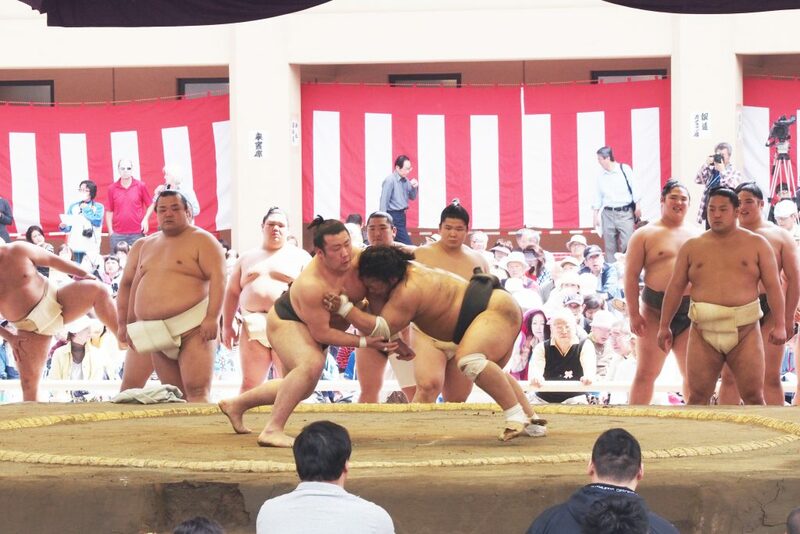 You will learn the ancient tradition and impressive matches of sumo. 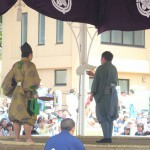 Furthermore, during the event, the wrestlers will entertain you such as by showing their techniques including prohibited ones in humorous ways. 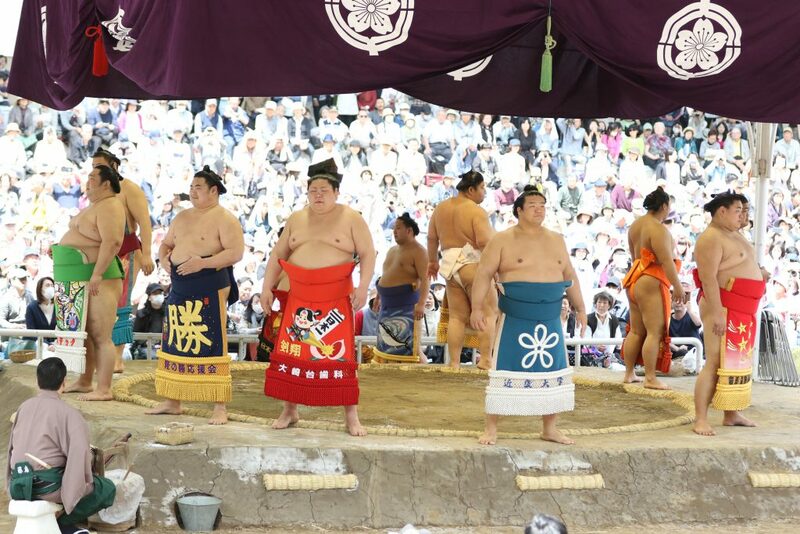 Additionally, there will be a chance to try mini Chanko Nabe hot pot, known as Sumo wrestler’s hot pot dish. 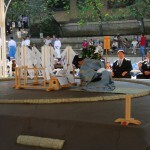 *Watch Traditional Ceremony held before the training and matches session. 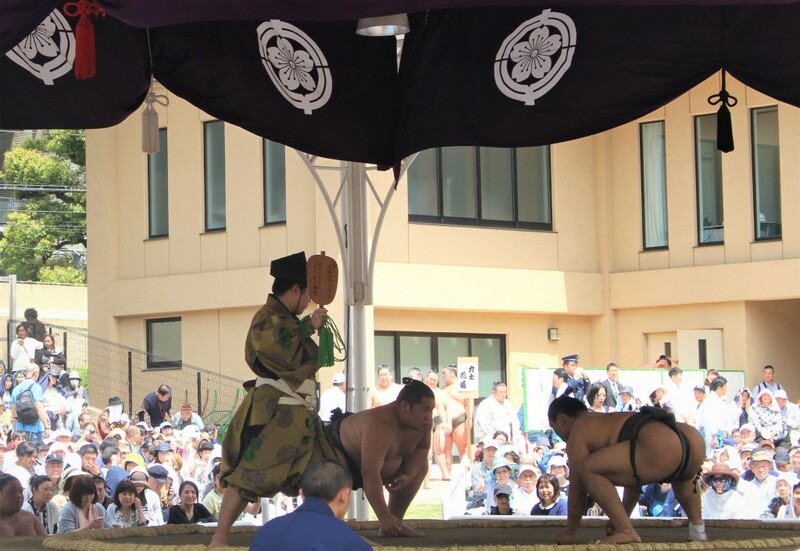 *Watch Sumo Training and matches at open air Sumo ring without concerning of age restriction. *Enjoy eating hot pot dish. *In case you prefer to use a taxi or hired car, an actual expense will be charged. *In case of meeting at your lobby, your hotel should be within a ten-minute walk distance from a JR station on Yamanote Line or subway station. We may charge an additional fee in case your hotel is located out of this range. ◆Before booking, please email us at info@truejapantours.com to check an availability.